Once your volunteers are in Services and you have them organized into teams, communicating and coordinating with them is easy… but how do you find volunteers? How do you move people through the application and training process before assigning them to a team? In this video, Matthew shares how you can use our free application, People, to create a volunteer pipeline. If you want to get started, go into Services and click the logo in the top left hand corner and find People in the drop down. If you don’t see People, you might need to have an admin give you access. Once you are in the app, click the Workflows tab and then Create New Workflow. The purpose of using a workflow in this case is to give you and your team a structured way to walk people, step-by-step, into becoming a volunteer. 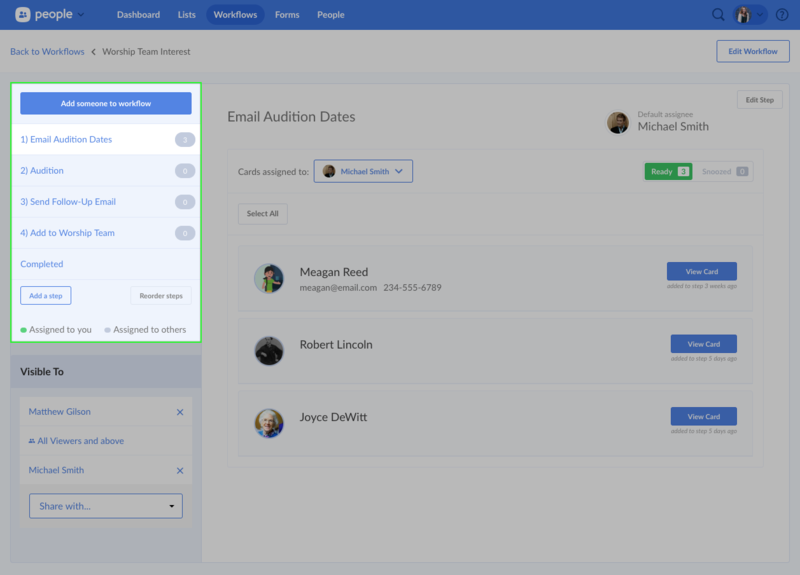 Like the workflow in the video, you will want to make a step for each part of your process, from sending an email with the audition dates down to officially adding the person to your team in Services. 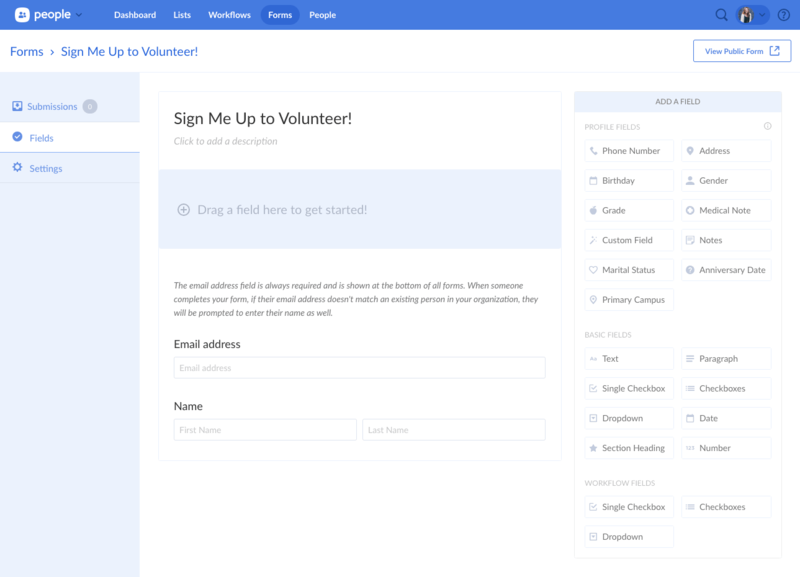 When you add potential volunteers to the workflow, you can assign the steps to yourself or to someone else on your team. Also, don’t worry about getting the steps perfect, you can change them at any time! Now you have to get people into your workflow! You can always add them manually, but it’s definitely more convenient to have them fill out a form. To get started, navigate to the Forms tab in the top bar and click New Form. 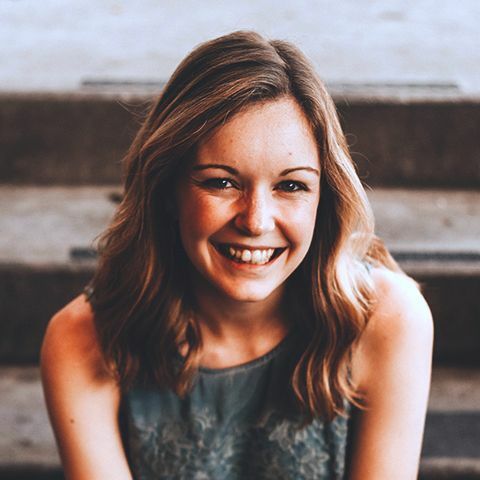 You can either create a form specifically for people to sign up for your worship team, or you can include a question field in a general volunteer form or a Contact Card form (like in the video). When you are in a new form, drag and drop the fields you want to use from the Workflow Fields section into the center of the form, and then select which workflow you want people to be added to when they complete that question. Once you’ve finished setting up your form, you can share it by sending the URL or embedding it on your church website! There is so much more you can do with Workflows, Forms, and the People app to support what you are already doing in Services. If you want to learn more about how, check out the links for detailed videos and articles and let us know if you have any questions! Here are six ways you can use Planning Center to help you capture every opportunity to connect with students and make sure no one gets lost in the crowd. Link-sharing is not always the best way for some churches to share public forms, events, or fund pages. So we created an alternative option— QR codes!